^ PyQt4 Download. Riverbankcomputing. 2010 [2010-04-19]. ^ PySide has been released – PySide – Python for Qt. Pyside.org. 2009-08-18 [2009-09-03]. （原始内容存档于2009-10-25）. 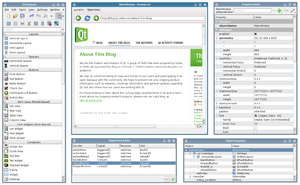 ^ PyQt v4.5 Released. Riverbank Computing Limited. 2009-06-05.